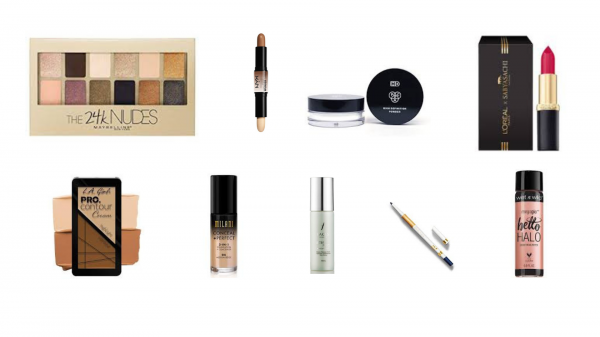 Get Your Base-ics Right: The *Best* Makeup Kit For Every Budget! Save or spend? Splurge or spare? When it comes to makeup, we are often addled with questions like - How much to actually spend? Do expensive products work better than the drugstore ones? Are they worth the investment? Will the products suit my skin? Like us, if you cannot get rid of the ‘urge to splurge’, then join the club! 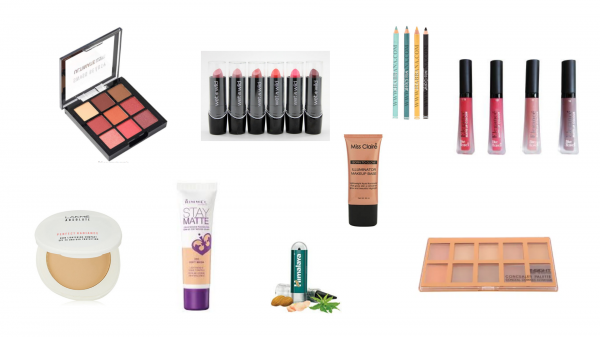 There is a myriad of makeup products available in the market. 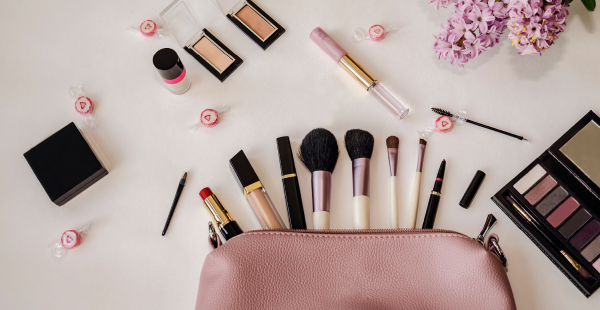 From big brands like Giorgio Armani, Dior to our favourite drugstore brands like NYX, Maybelline, we are constantly blessed with new makeup products every day and honestly, we cannot get enough of them, can we? We get it, everybody has their limitations. Not everyone can afford the latest Gucci bag or spend money on makeup that’s equivalent to paying one month’s rent! And makeup doesn't have to be about burning a hole in your pocket and no one should ever sacrifice necessities just to partake. And let me tell you one thing, you do NOT need expensive products to slay, ‘kay? The basic-baes: Who stock their kits with the basics. The impulsive ones: Who spend money on makeup like it's water. The smart shoppers: Who ONLY spend money on products that are worth it. All you makeup enthusiasts are in for a treat! We've curated not one but three makeup kits for each one of you. After prepping your skin with moisturizer, apply the Rimmel Stay Matte Liquid Mousse Foundation (Rs 450) evenly on your face. To hide those panda eyes, use the Insight Cosmetics Concealer Palette (Rs 375), it has multiple shades and allows you to mix and match so that you can find YOUR perfect shade. To reduce the oiliness, set your face with Lakme Perfect Radiance Compact (Rs 175) which leaves a sheer glow behind. Moving on to the eyes, add a flush of colour to your eyelids using the Swiss Beauty Mini 9 Eyeshadow Palette (Rs 250) which has nine shades for you to choose from. Add some more drama with the old school Himalaya Herbals Kajal (Rs 45) or use the Miss Claire Glimmersticks For Eyes (Rs 65). Highlight those cheeks with Miss Claire Illuminator Makeup Base (Rs 375). 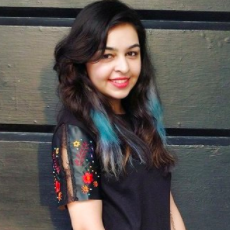 For the perfect pout, apply the Wet n Wild Silk Finish Lipstick (Rs 135) or use the Blue Heaven Elegance Matte Lip Color (Rs 105) if you love a matte lippie. Nine products, all under 2000. How 'bout that? Call out my name, if splurging is your game. If you're a makeup hoarder and believe in only using only the best of the best, then all we have to say is keep that credit card ready! Trust the Milani Conceal + Perfect 2-In-1 Foundation + Concealer (Rs 1325) for maximum coverage and a flawless finish. Start by applying it evenly on your face and neck and blend it using a beauty sponge or a makeup brush. Next, use the NYX Professional Makeup Wonder Stick (Rs 835) to magically conceal your dark circles and brighten those under-eyes. To ensure that your concealer stays on for long, use the PAC HD Powder (Rs 745) on spots where you used the concealer and keep it for a minute. If you wish to bake your makeup, keep it for a good ten minutes and brush off the excess later. Now that the face is set, let's move on to the next step. To contour your face, use the L.A. Girl Pro Contour Powder (Rs 675). Use it on your cheeks, nose, chin, and forehead and blend it out. A little pro tip here, if you ever put too much bronzer/contour on your skin, just put on some loose power on your skin using a huge brush and buff out till satisfied. I learned this trick from LipstickNick and it really helps. Next, use the Wet n Wild MegaGlo Hello Halo Liquid Highlighter (Rs 675) to highlight those freshly sculpted cheekbones. As Madhuri says it, create the perrrfecctt smokey eye look with Maybelline New York The 24K Nudes Palette (Rs 900) and use the MyGlamm Kajal + Eyeliner (Rs 800) to define your eyes. Complete your look with the L'Oreal Paris Color Riche Moist Matte Lipstick Sabyasachi Collection (Rs 750) and seal it with the Faces Ultime Pro Makeup Fixer (Rs 990)! Voila, you're dahh-done! Are you ready to slay the day? To give you the best of both worlds, we've curated a third kit which is a mix of both drugstore and luxe beauty must-haves. 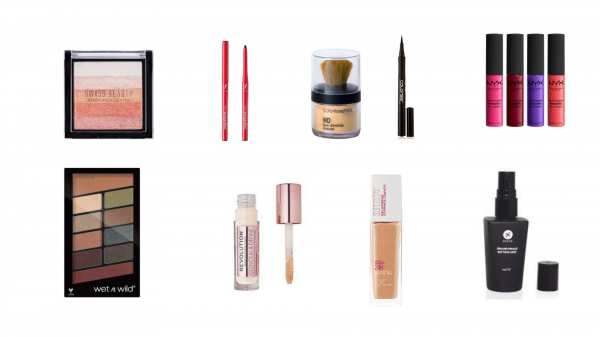 Handpicked by our favourite beauty gurus, these products won't let you down! Pump out a few dollops of the Maybelline New York Super Stay Full Coverage Foundation (Rs 750) on your beauty sponge and buff it onto your skin. The holy grail of every beauty junkie ever, the Tarte Shape Tape Concealer is a must have and honestly but if you can't get your hands on it, check out the brand Makeup Revolution! The Makeup Revolution Conceal And Define Concealer (Rs 695) is said to be the *perfect* dupe for the Tarte concealer and some (Read: Jeffree Star) say that it might be even better. To set your face, use the Coloressence High Definition Loose Powder (Rs 425). I swear, it just melts into your skin and makes it look airbrushed. Next, use the Wet n Wild Color Icon Bronzer (Rs 499) to sculpt your cheekbones to perfection and the Swiss Beauty Brick Highlighter (Rs 280) to blind them haters! The NYX Professional Makeup Soft Matte Lip Cream (Rs 600) is the perfect matte lipstick for an everyday look. Let's move on to eye makeup, shall we? For eyeshadow, the Wet n Wild Color Icon Eyeshadow 10 Pan Palette (Rs 499) is ideal. It has 10 vibrant eyeshadows that'll ensure that your eye makeup stands out from the crowd. Next, use the Colorbar Ultimate Eye Liner (Rs 550) to create the perfect cat-eye and the Faces Magneteyes Kajal - Lasts All Day (Rs 179) for an intense black stroke on your water line. Set your oh-so-glam face with the SUGAR Grand Finale Matte Setting Mist (Rs 699) and you're ready! Ladies, stock 'em up before they get sold out. POPxo is now available in six languages: English, Hindi, Tamil, Telugu, Marathi, and Bangla.